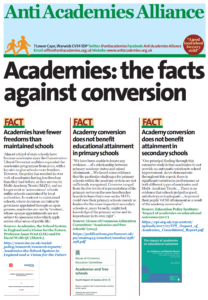 Debate: Are free schools a good move for our children? 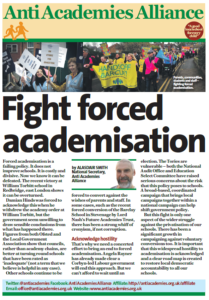 This evening [19th March], plans for a new free school will be thrashed out by councillors. The proposal, which appeared on the front page of The Argus on Tuesday, will be discussed at Brighton and Hove City Council’s policy and resources committee, starting at 4pm. The school is expected to cater for 200 students per year group – making it a 1,000-plus capacity school – while the opening date is set for September 2018. 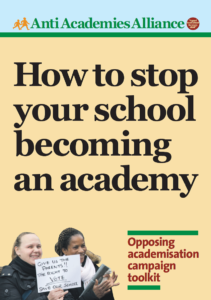 Crucially, the school will be a free school, meaning it is independent and funded directly by the Government and not controlled by the local authority, while its proposed backer is the University of Brighton. 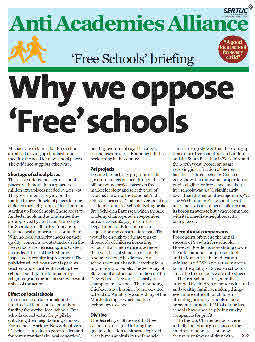 Free schools are divisive. Research shows that free school pupils are less likely to be entitled to free school meals than pupils in neighbouring schools. The Government may want to reject accusations that free schools are the preserve of the middle-classes but many commentators agree that even where free schools have opened in deprived areas they are still not taking the most disadvantaged children. Alasdair Smith AAA secretary.